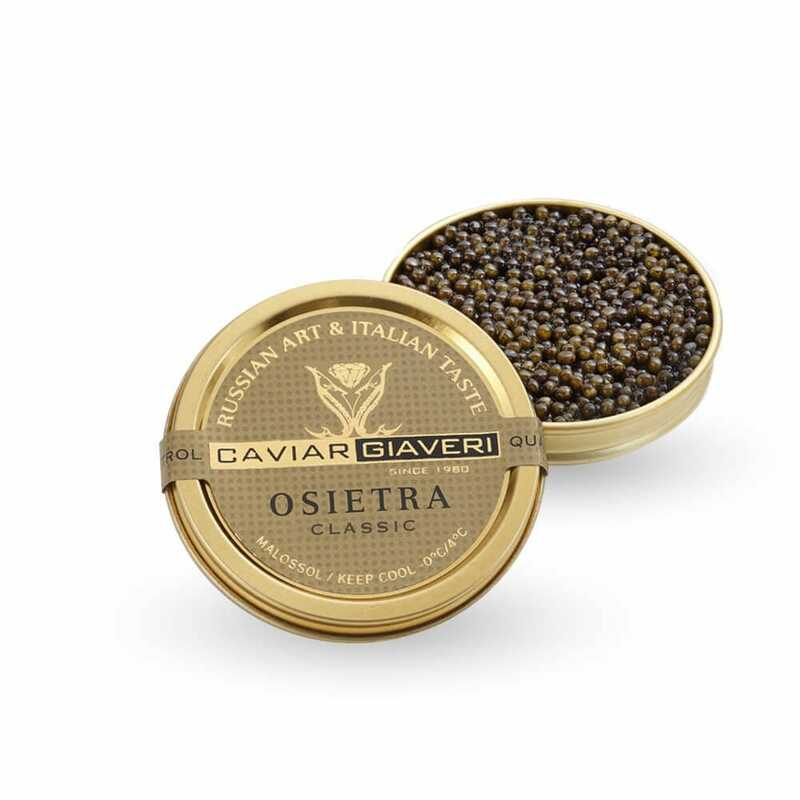 We have been selecting accurately by hand this highly refined Osietra, as we do with all our products. It involves all the senses with perfect identical crisp grains, with an intense golden brown colour and lasting taste of refined delight. 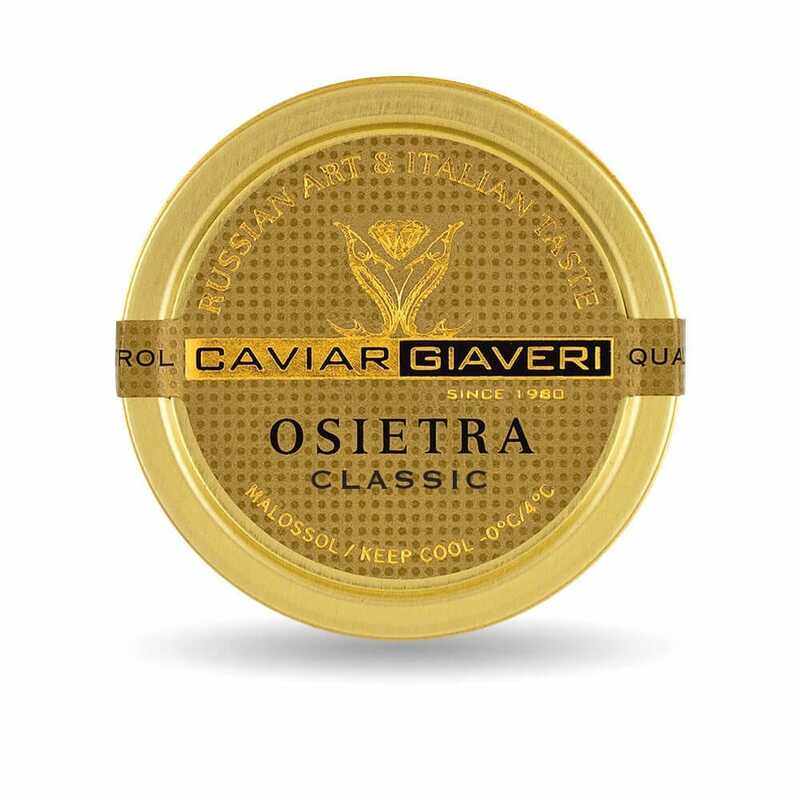 The traditional Russian method "malossol" that Caviar Giaveri uses in producing its produce can really exalt this caviar, extremely tasty that needs only a light salting to be appreciated by the most demanding connoisseur.